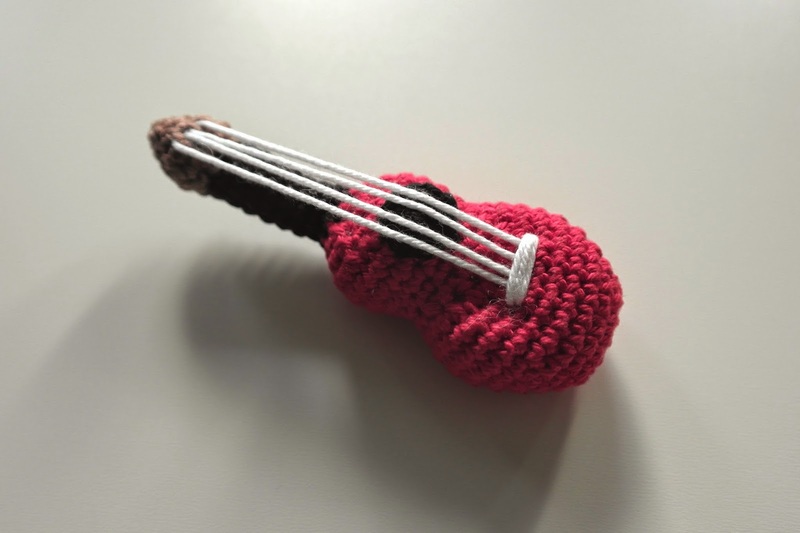 So a while ago, I came up with the idea to make a little key ring guitar. Because every year, with New Year, we have to read a New Year's letter to our godfather and grandfather, and because my godfather loves music and everything that has to do with it I've made a key ring of a guitar. It is a pattern I made myself. 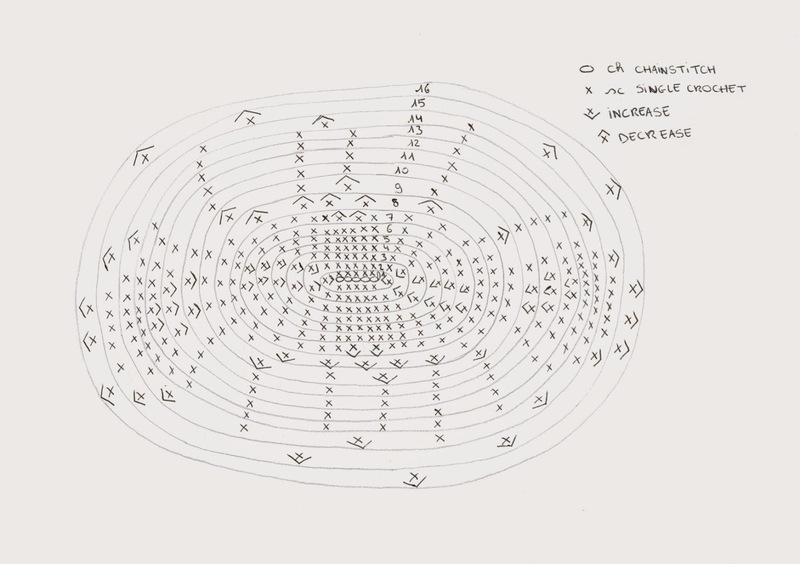 And you can see on the drawing below where you have to increase and decrease. This is what you need: a crochet needle of 3mm and some cotton wool in the colors red, black, brown and white. 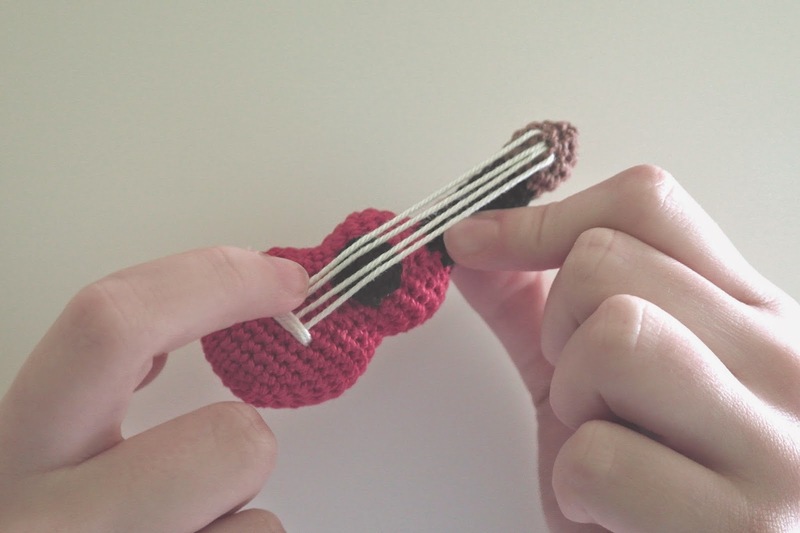 Sew the strings on the guitar and make a little black round for the hole in the middle. Me playing the guitar haha!